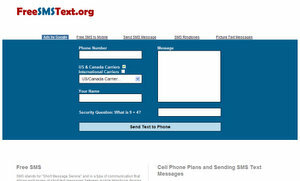 FreeSMSText.org allows you to send free sms text messages to almost anyone in the world. You just have to know their phone number and their cell phone provider. This can be a very useful tool if you phone is broken or you don’t want to put text messages on your plan. 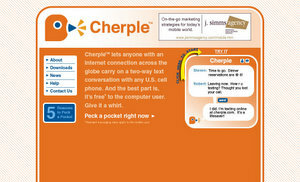 Cherple lets anyone with an Internet connection across the globe carry on a two-way text chat with any US cell phone.